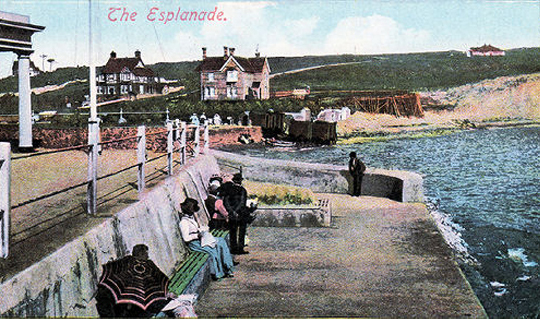 In the Victorian era, the Isle of Wight became a popular tourist destination. Whereas our modern celebrities tend to be actors, actresses, models & musicians, Victorian ‘lions’ were often artists, writers & poets. On one occasion the short-sighted Tennyson fled from a flock of sheep thinking it was a group of tourists. his gates”. Napier (1892). 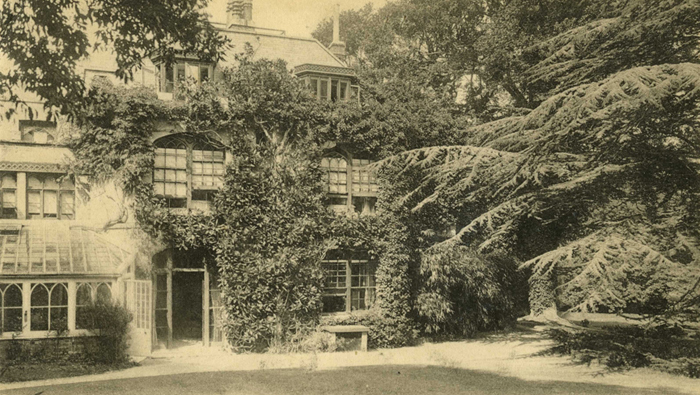 the Homes & Haunts of Tennyson. 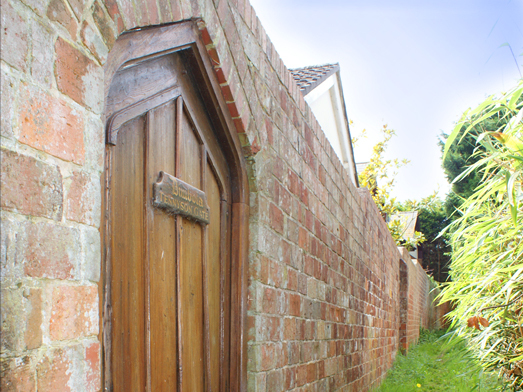 To avoid tourists, Tennyson built a hidden gate between Farringford & Dimbola. He also built a bridge from Farringford to the footpath leading up to the Downs so he could avoid crowds of his admirers. 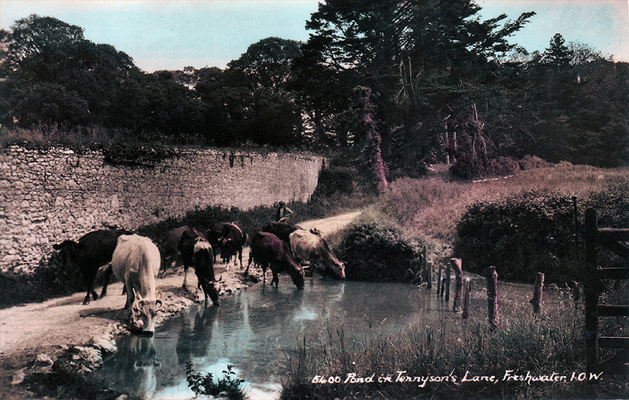 Although Freshwater was a very popular tourist destination during Tennyson’s lifetime, there are no postcards from this time because the Royal Mail did not allow printed picture postcards until 1894. 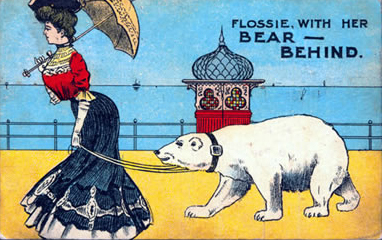 A postcard from after the Victorian era. Some postcards from just after Tennyson’s death in 1892 are below. 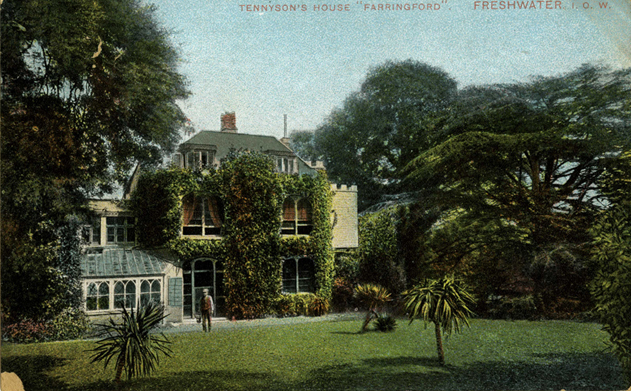 Many postcards of Freshwater were produced that included images of places connected to Tennyson.